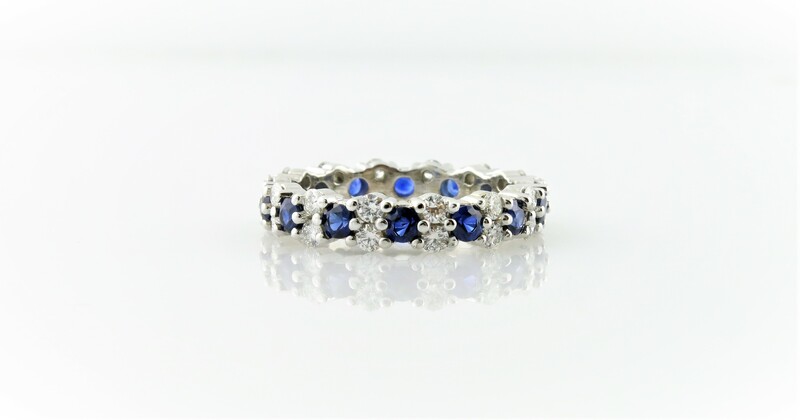 Handpicked high quality sapphires and diamonds. Can be ordered in 14kt white or rose gold. Please contact for platinum and/or different finger size prices.